Employing non-contact level measurement in a process control operation has many potential benefits. Radar level measurement has gained acceptance as an accurate and reliable method of liquid level measurement. 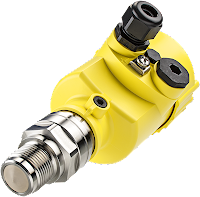 The process measurement instrumentation manufacturers have continually made strides in the evolution of their product offerings, providing more effective lower cost solutions. VEGA, a global leader in the manufacture of level and pressure instrumentation for the process industry, has introduced a new radar liquid level sensor. The VEGAPULS 64 operates at 80 GHz, a substantially higher frequency than previous models. The higher radar frequency, along with some other improvements, deliver operational benefits. Tight focusing of the radar beam on the liquid surface provides easier setup and commissioning with complex vessel internal fixtures. 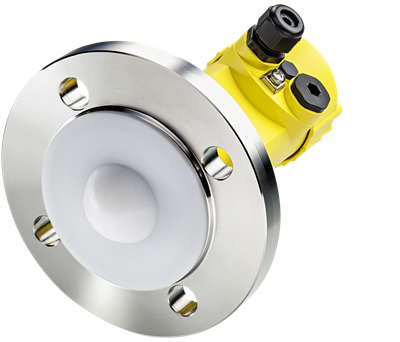 The radar level sensor is available with a number of connection fitting sizes, extending down to 3/4", which enable retrofitting of this improved technology to smaller vessels without extensive modification. There is also an encapsulated antenna variant that is suitable for hygienic or chemical applications. There is more to learn about the advances in radar level sensors. Reach out to product specialists for more information. Share your level measurement challenges with the product specialists, then combine your process expertise with their product knowledge to produce effective solutions.